Sporting a sooty attire from a previous voyage, SpaceX’s Falcon 9 rocket successfully lifted the fourth Dragon mission of 2017 into orbit on Friday to deliver science gear, systems hardware, crew supplies and two external payloads to the Space Station that will study the population of micro-sized debris in Low Earth Orbit and measure a critical climate parameter to continue a decades-long data record of total solar energy input to Earth. Friday’s Falcon 9 launch was the first to use a flight-proven first stage and previously used Dragon cargo spacecraft as SpaceX continues its drive toward making re-use of rockets and space vehicles routine. Liftoff from Space Launch Complex 40 at Cape Canaveral Air Force Station occurred at 15:36 UTC and Falcon 9 needed ten minutes to dispatch Dragon into orbit for a two-day rendezvous with the International Space Station while the first stage booster only needed eight minutes for its round trip, landing at the Cape’s Landing Zone 1 to become the first Falcon 9 to manage two land-based recoveries. 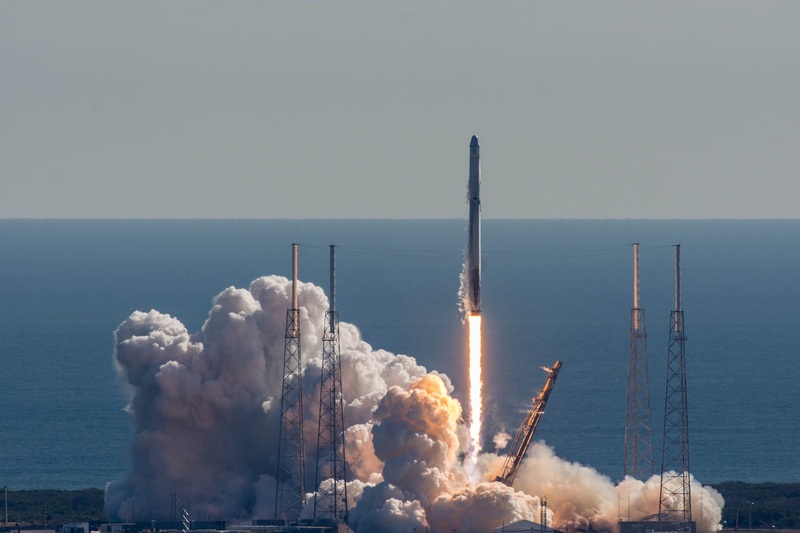 Friday’s launch marked the 17th successful flight by the Falcon 9 rocket in 2017 including four re-use mission, making Falcon 9 the most-flown launch vehicle with more missions than the Russian Soyuz and China’s Long March family. 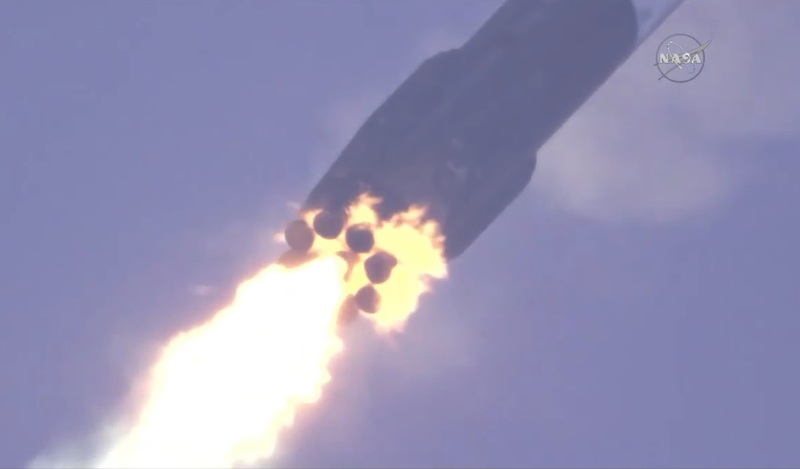 The successful return of the first stage extended SpaceX’s streak of uninterrupted recovery successes to 16. 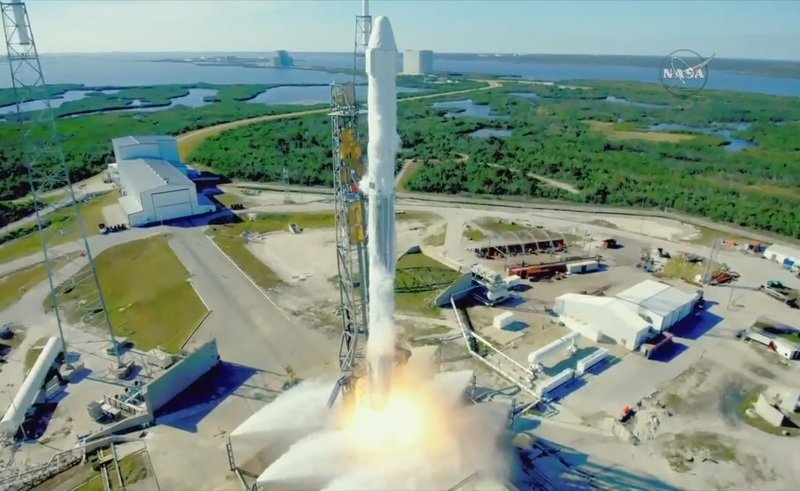 Dragon SpX-13 – using the C108 Dragon that spent 37 days in orbit on the SpX-6 mission in 2015 – sets a new record for most Dragon flights in a calendar year, adding to a year that already saw SpaceX shatter its previous record for the number of Falcon 9 missions. 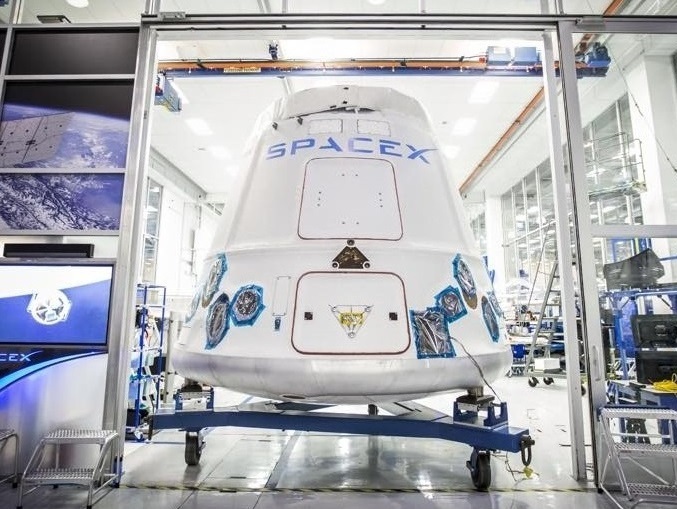 Booked for a month-long stay at the orbiting laboratory, Dragon is delivering 2,205 Kilograms of cargo, including 1,560kg of pressurized cargo and 645kg of external hardware riding in the Trunk Section of the vehicle. 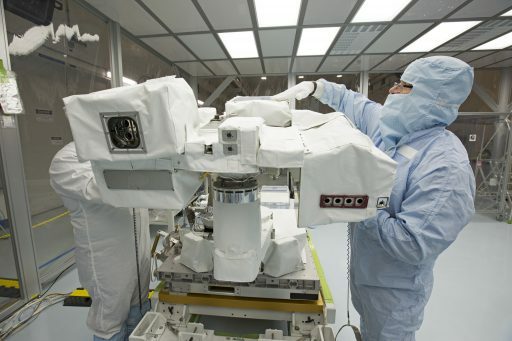 In Dragon’s Trunk are two high-profile payloads: TSIS, the Total and Spectral Irradiance Sensor, will take up residence on ISS to measure the total energy input from the sun to extend a vital climate record of what is considered one of the most critical climate variables that has been continuously tracked since 1978. The Space Debris Sensor, set for installation outside the Columbus laboratory, is a large-area debris tracker combining different detection methods to provide various properties of micro-debris strikes in Low Earth Orbit to help assess a debris population that can not be measured from Earth. The third Trunk Payload manifested for SpX-13 was the MISSE-FF, Materials on ISS Flight Facility that builds on and expands earlier MISSE materials science experiments that exposed various samples to the unique space environment to inform designers of satellites on how different materials fare in orbit. MISSE-FF could not be readied in time for the SpX-13 and has therefore been de-manifested and will have to queue up for a future flight opportunity. The pressurized cargo riding on Dragon SpX-13 is also mostly utilization-related, comprising 711kg of science gear, 490kg of crew supplies, 189kg of maintenance hardware and 165kg of EVA hardware in the form of a refurbished space suit as ISS gears up for a series of EVAs in the January/February time frame. 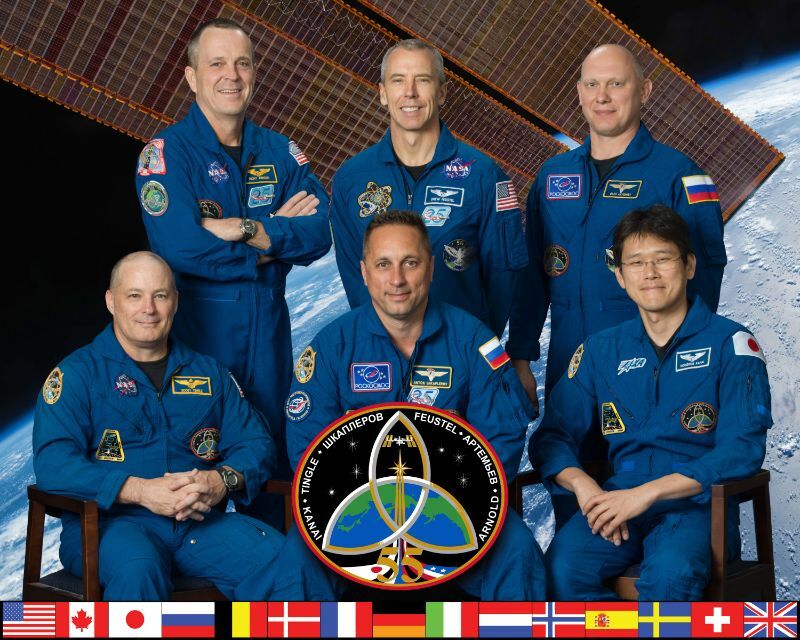 Science riding on Dragon includes the seventh Rodent Research mission, involving forty mice aboard two Rodent Transporter units for a study of a nanochannel drug delivery system for combating muscle atrophy in astronauts on long-duration missions as well as Earth-bound patients. Dragon is also carrying a plant study attempting to reveal previously unknown pathways for gravity sensing, a novel technology demonstration for the production of optical fibers in microgravity with superior optical qualities than those produced at 1G, a ‘Synthetic Bone’ study evaluates a new bone adhesive that could aid bone repair and augment bone structure in Osteoporosis patients, and new hardware is flying up for the Station’s small-sized SPHERES robots to use them as a test bed for developing algorithms needed when maneuvering defunct satellites as part of future space debris clean-up efforts. As had been the case with the three previous Dragon missions reaching ISS this year, the SpX-13 mission is heavy on the utilization side as NASA’s makes use of the unique capabilities of its two Commercial Resupply Vehicles. Cygnus has been used for the heavy-lifting in the supplies department this year, delivering over three metric tons of cargo on each of its missions due to its larger internal volume than Dragon that also allow the craft to serve as a temporary extension to the Station’s laboratory modules and take out plenty of trash when departing. Dragon’s unique capabilities come in handy for utilization payloads – late cargo loading just 24 hours before launch allows time-critical payloads to be flown, including biology samples in double cold bags and rodents while the return capability of Dragon is readily utilized to fly experiments back to Earth for detailed laboratory analysis. Friday’s launch marked the grand re-opening of Cape Canaveral’s Space Launch Complex 40 after fifteen months of downtime following the September 1st, 2016 explosion of a Falcon 9 rocket when counting down to its Static Fire Test – caused by a complex failure mechanism that led one of the rocket’s Helium pressure vessels to burst. SLC-40, SpaceX’s first Falcon 9 launch complex, suffered extensive damage to its above-ground systems in the explosion and ensuing fire. 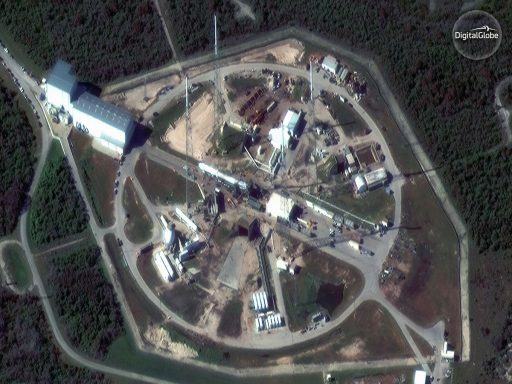 SpaceX began re-build efforts in February after Launch Complex 39A could be activated for service to handle Falcon 9 east coast launch operations while SLC-40 was down. A new Transporter, Erector, Launcher (TEL) was built and the pad received a number of upgrades as part of the re-build effort including improved automation systems and data handling architecture, a new hold-down system, and additional reinforcements designed to reduce the wear and tear suffered by the pad in order to reduce the turnaround time between launches. The final push toward returning SLC-40 to service was not without trouble – as one could expect given the majority of cross-country propellant lines, data systems, ground computers and the entire TEL were brand new components. To that end, SpaceX had to slip the Static Fire Test from December 2 to the sixth to provide sufficient time to iron out teething issues of the pad, also causing the launch to slip from an original target of December 4th. 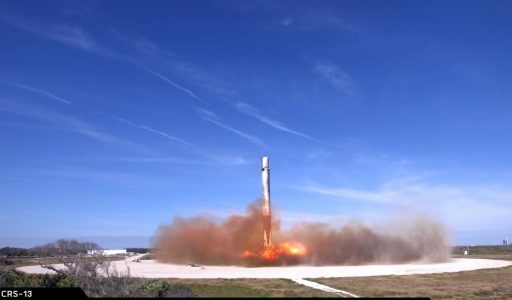 No issues were immediately apparent in data collected at the Static Fire and Falcon 9 returned to the pad on Monday in preparation for launch on Tuesday; however, liftoff was initially delayed to Wednesday and then to Friday when foreign objects were discovered on the rocket’s second stage. Clean-up work was put in motion and analysis began where the particles were introduced since any foreign objects on a space launch vehicle are a potentially fatal problem when occurring in flight. It had been uncertain whether Friday’s launch could take place until the early morning hours, local time, and press photo opportunities after midnight were canceled since Falcon 9 had not yet gone into its vertical position. 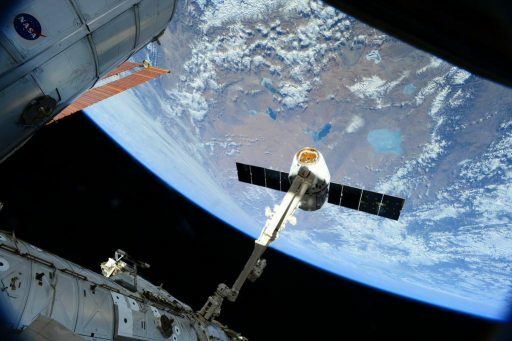 To protect the launch opportunity, Dragon had received its late cargo load items by Thursday evening, including forty mousetronauts, powered laboratory freezers, cold stowage samples and, possibly, Christmas presents for the ISS crew. 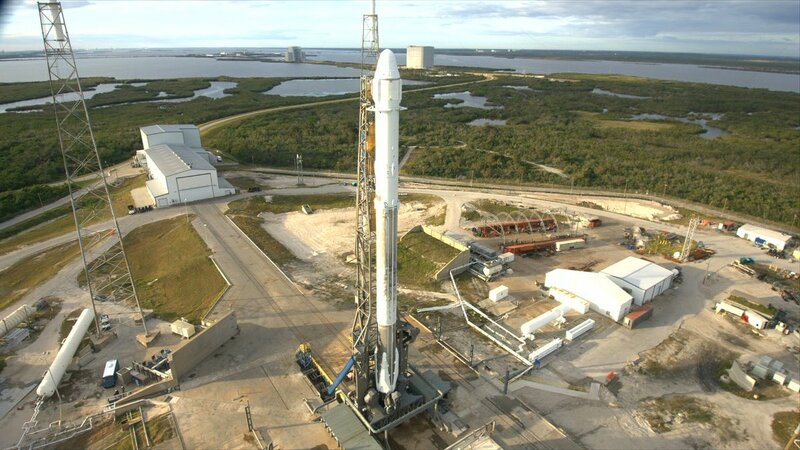 With Dragon fully loaded and work on Falcon 9 complete just in the nick of time, SpaceX was able to raise the 65-meter tall launcher to its vertical position Friday morning and initiate power-up ops as the first step in the countdown. 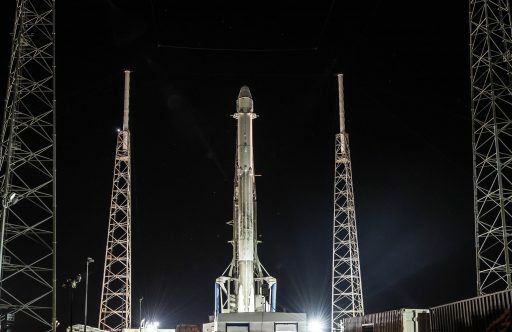 A clean bill of health was awarded to Falcon 9 after several hours of checkouts and weather was looking good for the day’s instantaneous launch opportunity – allowing Launch Controllers at the Cape to proceed into the Automated Countdown Sequence at T-70 minutes with Rocket Propellant 1 load, feeding some 155 metric tons of chilled fuel to the two-stage rocket. Liquid Oxygen loading picked up at T-35 minutes on the first stage and 15 minutes later on the second stage as Falcon 9 received around 360 metric tons of the sub-cooled oxidizer. Propellant load was still in full swing when the final countdown sequence kicked off with the conditioning of the Merlin 1D turbomachinery at T-7 minutes followed by a fast-paced set of operations to transition Falcon 9 to internal power, align the flight control system, put engine actuators and valves through final hydraulic tests and priming the Strongback structure for rapid retract at T-0 – a new feature for SLC-40. The Autonomous Flight Termination System was armed and final propellant loading milestones were called out inside T-3 minutes when the first and second stage reached flight levels. Falcon 9 assumed control of the count at the one-minute mark, a final GO was voiced by the Launch Director and both stages headed into full pressurization. 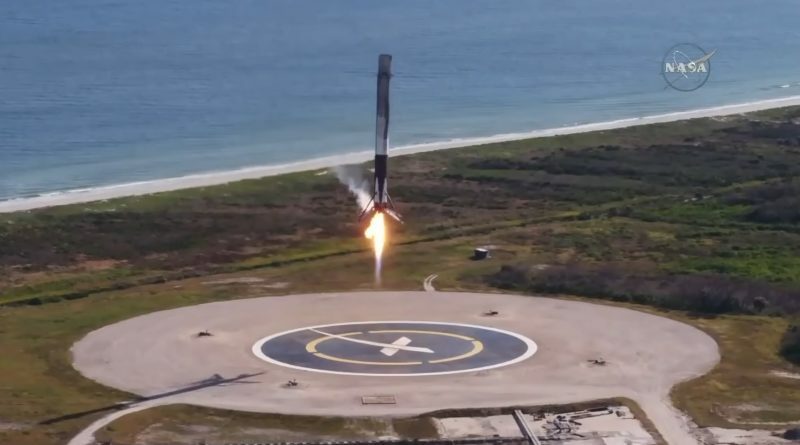 Flames erupted from the base of the rocket at T-3 seconds when the nine Merlin 1D engines fired up to soar to a collective launch thrust of nearly 700-metric-ton-force to lift the 550t vehicle off the ground. Liftoff was marked at precisely 15:36:09 UTC, marking the first Falcon 9 blasting off from SLC-40 after 488 days. Falcon 9 climbed vertically for 15 seconds before pitching over onto a departure path to the north east to boost Dragon into the orbital plane of the International Space Station, burning 2,500 Kilograms of propellant per second to push the vehicle skyward. The ascending rocket passed the speed of sound just over a minute into flight followed by Maximum Dynamic Pressure at T+78 seconds with the engines throttling back briefly to reduce stress before ramping up again for another minute of full throttle. MECO – Main Engine Cutoff – occurred two minutes and 22 seconds into the flight after Booster #1035 accelerated the vehicle to 1,658 meters per second. Four seconds later, Falcon 9 had reached 65 Kilometers in altitude and four pneumatic pushers sent the two stages on their separate ways with no time wasted on the first stage for its rocket-powered U-turn and the second stage immediately heading into start-up mode. The 95,000-Kilogram-force MVac engine ignited two minutes and 33 seconds into the flight on a burn of six minutes and 27 seconds to inject the Dragon, weighing over ten metric tons, into Low Earth Orbit. Just over three minutes into the mission, when climbing through 110 Kilometers in altitude, Dragon jettisoned its protective Nose Cover as aerodynamic forces were no-longer a danger to the delicate Common Berthing Mechanism on its top side. For Booster #1035, the return trip to Cape Canaveral began split seconds after stage separation when it fired the cold gas thrusters on the interstage to pitch up and swing the business end around into a tail-first orientation. The center engine re-ignited two minutes and 38 seconds into the mission to assist in finishing the turn and two outer engines joined in four seconds later when the booster was flying level, pointing its thrust toward the velocity vector. The 54-second boost back successfully reversed the first stage and accelerated it back toward Cape Canaveral, passing its high point around 120 Kilometers in altitude and re-orienting again to prepare for re-entry. 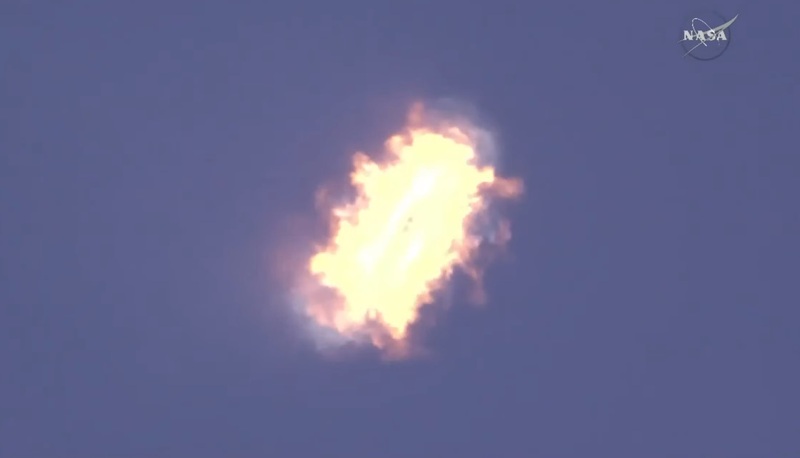 Falling back to Earth at hypersonic speed, the booster re-lit at T+6 minutes and 7 seconds, again firing up its center and outer engines in staggered fashion. The 18-second entry burn slowed the vehicle by over 300 meters per second. After shutdown of the engines, it was up to the four actuated grid fins to keep the booster stable and modify its angle of attack to fly toward Landing Zone 1 just around eight Kilometers south of Falcon’s CCAFS launch pad. 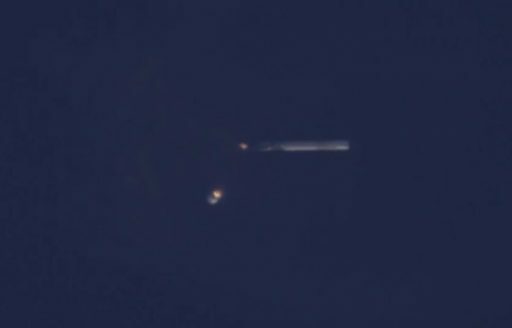 The 47-meter tall booster made its way through the sound barrier in reverse direction and lit up its center Merlin 1D seven minutes and ten seconds into the flight for the final landing burn. 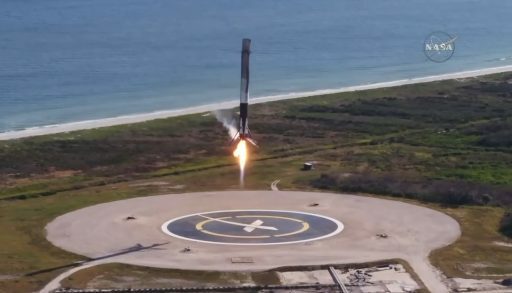 Falcon 9 entered a vertical descent toward its concrete landing pad and the four landing legs deployed seconds before the booster made contact with the ground and shut down its engine after a round-trip time of seven minutes and 47 seconds. 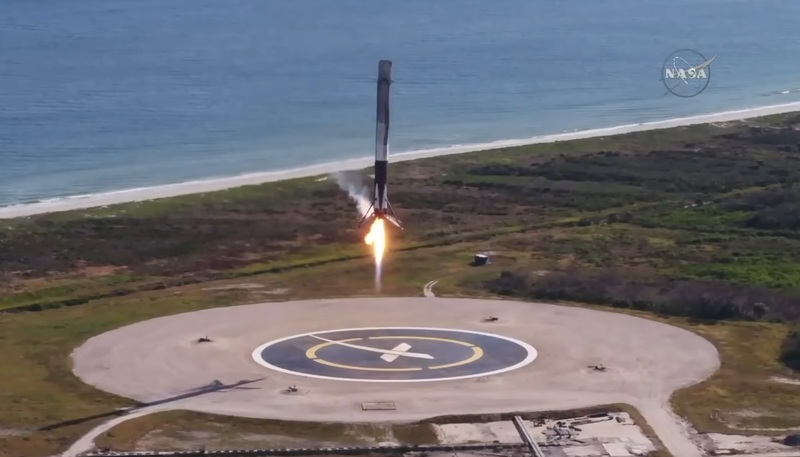 This marked SpaceX’s first time landing a Falcon 9 booster on land twice, following B1035’s successful LZ-1 landing back in June. Overall, SpaceX now stands at 20 successful landings out of 25 tries, recovering 16 different boosters (four have launched & landed twice). For land-based recoveries, SpaceX has a perfect 8-of-8 record. The future for B1035 is not entirely clear, but it would be the best candidate yet for a third flight given its first two missions involved Low Earth Orbit deliveries with relatively benign re-entry environments. While the first stage aced SpaceX’s 14th recovery of the year, Stage 2 was in the final minute of its burn, continuing to travel north east over the Atlantic and aiming for an orbit around 200 by 355 Kilometers, inclined 51.6°. 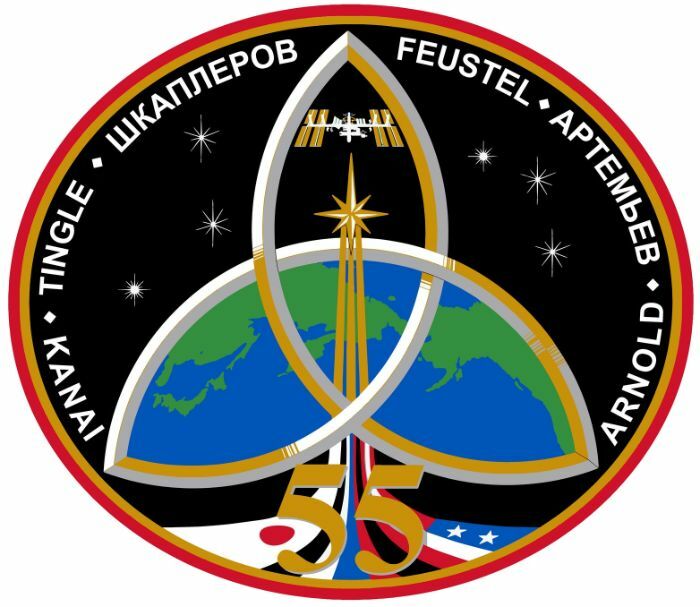 Shutdown of the MVac engine was confirmed right at the T+9-minute mark and flight controllers noted a nominal orbit was achieved. 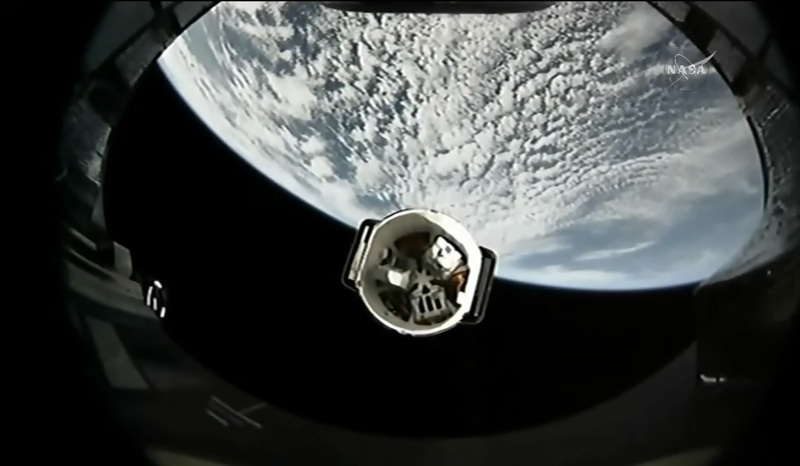 Dragon was sent off on its journey exactly ten minutes after taking flight, stabilizing its orientation with its Draco thrusters and jettisoning it its two solar array fairings to initiate the deployment of the power-generating solar arrays. Several hours of functional checks and the deployment of the GNC bay door 140 minutes into flight are the next milestones for Dragon before the spacecraft can begin the process of raising its orbit to link up with ISS for a Sunday capture by the Station’s robotic arm, planned at 11 UTC.